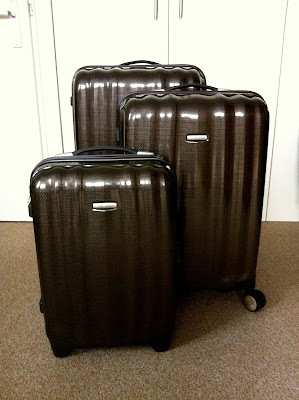 My life consists of a lot of travel and that means my luggage usually never has time to collect dust. I barely unpack from trip and then the next one is right around the corner. For example I am still currently on my trip that started on February 2 for. So far I have spent 5 days in Seattle, 8 days in the Netherlands, 6 days in Switzerland, 1 day in the Netherlands, 10 days in Istanbul and now back in the Netherlands for a bit before heading back to California. If you think I am exhausted you should see my luggage. it without looking like a complete jerk. I have had this luggage for approximately 4-5 years and it has held up like a champ considering how inexpensive it was (that is relative to the fact that luggage is stupid expensive) and how many miles it has clocked. During this last trip to Istanbul Big Pink had a tire blowout on the way there, which made me sad, but considering I had already super glued the sides together three different times it seemed the writing was on the wall. Then on the return to the Netherlands then bottom thingy (a total technical term) was coming off. It now is officially time to say my goodbyes to Big Pink. The BF even made sure I had the proper time to say goodbye before he whisked it away to be disposed of. He knows me so well. Now you will have to excuse me while I search for some obnoxious pink bows to affix to them.